On hold messages are a marketing tactic used by businesses and organizations to deliver information to their callers who are on hold. Although it was invented in the 1960s, this technology is still very useful today. If you are a business owner interested in utilizing this marketing tool, you may be interested to learn about the many features it has to offer. On hold messaging provides a variety of technology features that you can use to your advantage. Keep reading below to find out how they can work for your business. The primary feature of on hold messages is that they provide a way to keep customers informed about your business. Instead of silence or elevator music, businesses can use their hold time to provide hours of operation and other useful information to their callers. Additionally, the wait time may be used to promote new products for demand generation. This can be a great tool in up-selling and cross-selling items to consumers while they wait. Depending on how large your business is, you may want more than one on hold messaging option. If you have several departments to take care of, you should consider the customizable extensions feature available through most systems. This feature allows you to craft specific messages for various phone extensions throughout your organization. If you need to provide different information to different callers, this is the best way to do it. Phone call analytics are certainly not something that came with the original 1960s technology. However, it has become one of the most useful aspects of on hold messages today. Now, you can track and view how calls went through an online portal connected to your messaging service. This will allow you to see when callers hung up on toll free numbers, who chose to purchase something due to the messages and more. If you want a new way to keep track of your business calls, the analytics services that come with on hold messages could be a big help. 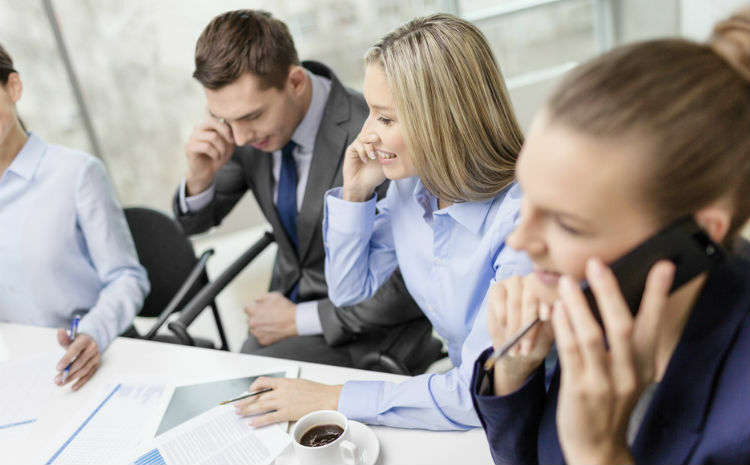 VoIP, or Voice Over IP, is becoming a very popular alternative to traditional phone lines. This type of service operates over the internet, allowing businesses to make calls without paying for a regular phone service. If you use VoIP, that is no reason to forego on hold messaging. In fact, many services are now VoIP compatible. This makes your low-cost phone option that much better, because you can still enjoy the same useful marketing service. Lastly, real-time status updates are a useful way to keep track of your messaging system. With marketing automation, they can be sent to a manager for better decision making. Web-based management portals allow you to see account details as well as past and present on hold productions. This way, you can track the status of a particular customer’s production request, analytics and your on hold messages all in one place. On hold messages have been around for quite some time. Today, they have become even more useful to businesses in need of some communication organization. If you want customizable extensions, VoIP access and phone call analytics, you need to give on hold messaging a try.